Book a Percurso dos Sete Vales Suspensos vacation package on Expedia right now! This is one of the easiest ways to save time and money for your incredible vacation. When you book a package deal on Expedia, you can save up to C$590*. With just a few clicks, you can organize everything you'll need for your next trip via our extensive database. And — with more than 400 partner airlines and 321,000 properties from around the world, you'll have the flexibility to mix and match! There are stacks of amazing things you can do when you're in a new place. So why not get your trip to Percurso dos Sete Vales Suspensos off to a cracking start by having a look at some of our suggestions? After all – out there starts here! Breathe in the fresh air and marvel at colorful seabirds hover overhead at Benagil Beach. Spending a day by the waterside will brighten up your day. Visitors have a wonderful range of things to do in this destination. A day by the ocean is an ideal way of keeping the youngsters out of trouble. Take some buckets to Marinha Beach and see who can collect the most unusual shells. Still have some time to spare? If you'd like to bump a few strokes off your handicap, then head over to Vale de Milho Golf. Grab some clubs, sharpen your swing and chat to the locals at the 19th hole. In terms of places to stay in the center of Percurso dos Sete Vales Suspensos, you can't afford to be fussy. However, there are as many as 39 options in the neighboring areas. With Expedia, booking cheap vacations and luxury getaways is simple. Need help finding a comfortable bed to snuggle up in at night? Our recommendations are the Vila Vita Parc Resort & Spa (Rua Anneliese Pohl) and the Vilalara Thalassa Resort (Praia Das Gaivotas). Getting a flight to Faro International Airport (FAO)? It's located 25 miles (40 km) east of the middle of this area. Time to pick up your bags and get your trip to Percurso dos Sete Vales Suspensos underway! 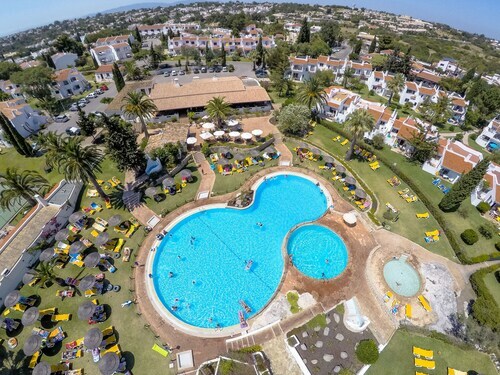 This family-friendly Carvoeiro hotel is located near the airport, within a 15-minute walk of Algar Seco Rocks and Carvoeiro Beach. Benagil Beach is 2.5 mi (4.1 km) away. Situated on the waterfront, this romantic property is within 1 mi (2 km) of Percurso dos Sete Vales Suspensos and Benagil Beach. Marinha Beach and Carvoeiro Beach are also within 3 mi (5 km). 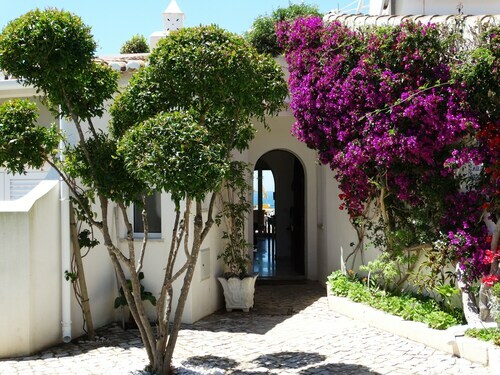 Situated in Carvoeiro, this villa is within a 15-minute walk of Percurso dos Sete Vales Suspensos and Benagil Beach. Marinha Beach and Carvoeiro Beach are also within 3 mi (5 km). 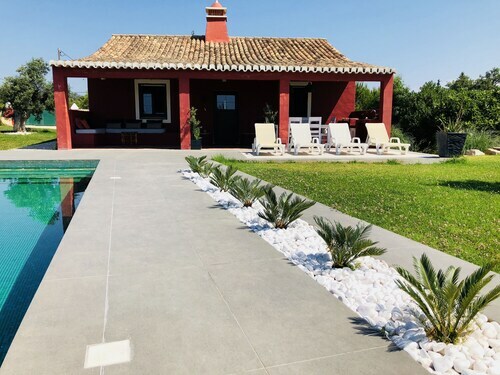 Situated by the ocean, this romantic villa is within a 15-minute walk of Percurso dos Sete Vales Suspensos and Benagil Beach. Marinha Beach and Carvoeiro Beach are also within 3 mi (5 km). Situated by the ocean, this villa is 0.1 mi (0.1 km) from Percurso dos Sete Vales Suspensos. 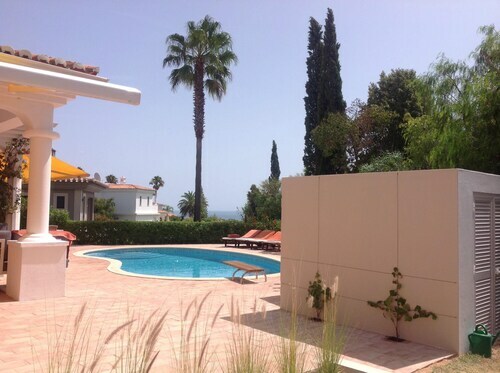 Situated by the ocean, this villa is within 1 mi (2 km) of Percurso dos Sete Vales Suspensos and Benagil Beach. Marinha Beach and Carvoeiro Beach are also within 3 mi (5 km). Situated in Carvoeiro, this golf apartment building is within 2 mi (3 km) of Percurso dos Sete Vales Suspensos, Benagil Beach, and Carvoeiro Beach. Marinha Beach is 2.5 mi (4 km) away. 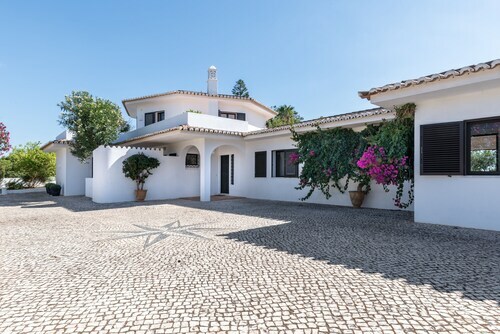 This family-friendly Carvoeiro property is located on the waterfront, within 1 mi (2 km) of Percurso dos Sete Vales Suspensos, Carvalho Beach, and Vale Centeanes Beach. Marinha Beach and Benagil Beach are also within 3 mi (5 km).